Year-round live water is provided by approximately a half mile of Flatrock Creek (both sides) that meanders through the property. A concrete dam and spillway allow access across the constant level lake fed by Flatrock Creek. Towering Pecan trees surround the existing old homestead location. 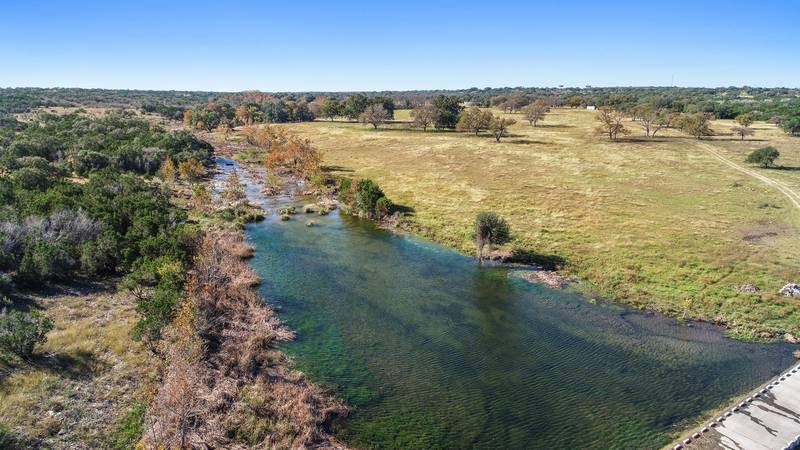 The picturesque landscape has over 100 feet in elevation change and its abundant wildlife include: Whitetail Deer, Rio Grande Turkey, Dove, Duck, Feral Hogs and more. A variety of soils host Pecan, Live Oak, Post Oak, Sycamore, Juniper and more. Existing features include: electric entry gate, perimeter fencing, improved gravel road throughout the property, city water, city electricity, water well, septic system. 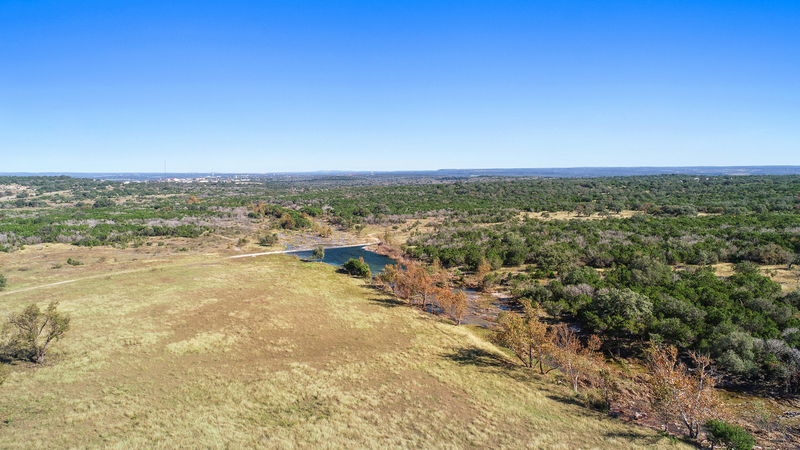 Don’t miss this opportunity as an investment, acreage this close to Marble Falls with permanent live water is unique. Showings by appointment only.